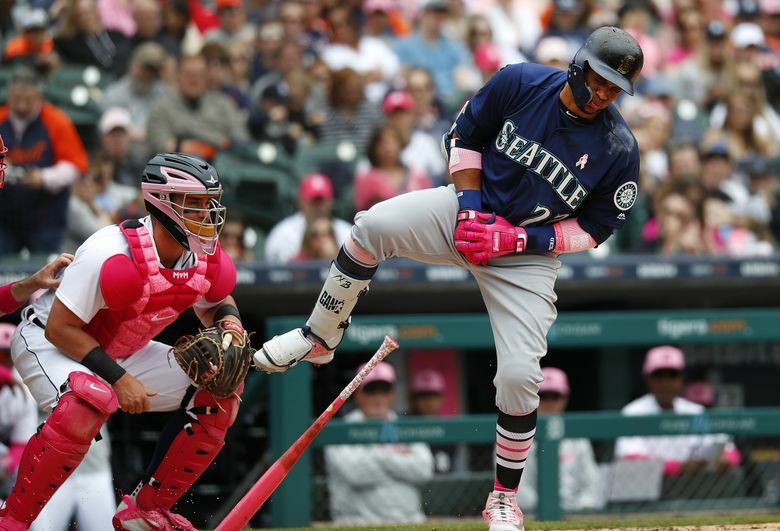 DETROIT — After a prolonged stretch where all of their position players were healthy and contributing, the Mariners lost Robinson Cano for Sunday’s game and many games to come. The All-Star second baseman exited the series finale against the Tigers at Comerica Park in the top of the third inning after being struck on the top of his right hand by an 88 mph fastball from lefty Blaine Hardy. The pitch rode up and in on Cano, who couldn’t quite get out of the way and hit the ground in obvious pain. Cano underwent x-rays at the stadium. The Mariners later announced that he was diagnosed with a fractured fifth metacarpal on his right hand. Manager Scott Servais and senior athletic trainer Rob Nodine immediately went out to check on Cano. After a brief conversation and some preliminary tests on the field, Cano was removed from the game and replaced by utility infielder Andrew Romine.